One of my very favorite authors is Nevil Shute. (NOTE: Nevil Shute's full name is Nevil Shute Norway. I will refer to him by his nom de plume in this site.) I have read all of his books and enjoyed them all. Some I have especially enjoyed. My two favorites are "Ruined City" (also known as "Kindling" in the US) and "A Town Like Alice" (A/K/A "The Legacy"). These are not only my two favorite Shute books but perhaps my two favorite books of all I have read. 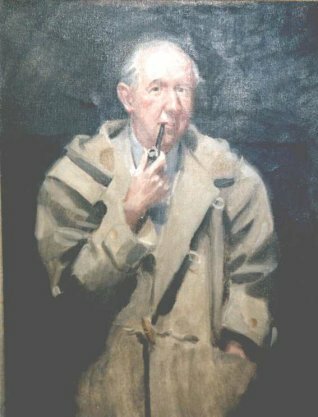 Most people in the US of a certain age know Nevil Shute only as the author of "On the Beach". Perhaps a few more know him for "A Town Like Alice" as well. "On the Beach" was required reading in high school in the 60's along with "1984" and "Animal Farm". I have always supposed that it was because all of them played into the RED MENACE!!!! that we faced in those years. That's not to say that it is not a great book, though perhaps not in my top five of his works. Simply a reflection on how politics colored the high school reading list in the 60's. Interestingly, when my son was in the 8th grade, in 1988-89, he also read "On the Beach". He loved it. I spoke to his teacher and asked her why they did not read other Nevil Shute books. Her response was that she did not know he had written any others. 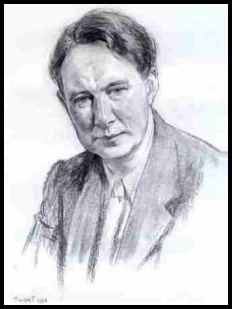 In actuality, Mr Shute was the author of 24 novels and an autobiography between 1926 and 1960. Most were very successful in their day. Mr Shute was born January 17, 1899 in London. His father was a writer of minor note of travel books. His father's real job (ever noticed how many writers have "real" jobs in addition to writing?) was with the British Post Office. In 1916, at the time of the Easter Rebellion, his office was in the Dublin Post Office building but he was unharmed. Nevil Shute was an ambulance driver with the St John's Brigade and was close to some of the fighting. Mr Shute tried to get into Sandhurst but failed to do so. He crammed and got into the army but did not leave England during the war. After the war, he went to school at Balliol College, Oxford and then began working as an aeronautical engineer, first for deHavillands. He then moved to Vickers company where he was involved in the design of the airship R-100. He was initially hired on as a stress calculator but by the time the project ended 5 years later was chief engineer. The Canadian National Air Museum has a very nice site with pictures and text of the R-100's visit to Canada in the early 30's. the trustees of the estate of Nevil Shute have also graciously given me permission to web publish his account of the flight to Canada. After the end of the airship project, jobs were hard to come by due to the depression so Mr Shute started an aircraft manufacturing company, Airspeed Limited. This company was ultimately successful and built a large number of aircraft during the war. One major type was the Airspeed Oxford. Others for which I have posted pictures and specs are the Airspeed Courier and the Airspeed Envoy. The Envoy was the British "Queen's Flight" (equivalent to our "Air Force One" in it's day). Nevil Shute was one of the leading aeronautical engineers in Britain during the 30's and a fellow of the Royal Aeronautical Society. When he began writing in the 20''s, he feared that a reputation as a writer of fiction might harm his engineering career. 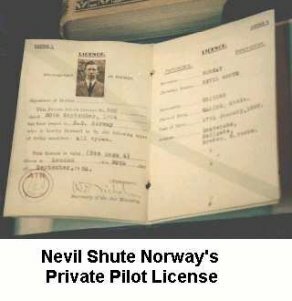 For this reason he published under his two Christian names (Nevil Shute) and engineered under his "real" name, Nevil S. Norway. Mr Shute was bought out in 1939 after a dispute with his board of directors and spent the war in the Royal Navy Volunteer Reserve working on special weapons projects. A fictionalized account of one of these projects appears in "Most Secret". Mr Shute wrote his autobiography "Slide Rule: the Autobiography of an Engineer" in 1954. It covers his life up to his leaving of Airspeed Limited. It mainly discusses his professional life and is interesting for the lengthy discussion of the R-100/R-101 airship competition and for his discussion of the trials and travails of starting an aircraft company in England during the depression. He also discusses the aircraft industry in general in those days. It is an excellent book which reads like a novel. It is all the more interesting because it is true. After the war, Mr Shute devoted full time to writing and, in 1949, moved to Australia. Seven of his postwar novels are set in Australia and, for this, he gained a reputation as an "Australian" writer. Mr Shute died in 1960. He was survived by his wife Frances Mary and two daughters, Shirley and Heather Felicity. Heather currently resides in the United States; Shirley died in 2009 . There is also a grandson, granddaughter and great-granddaughter. 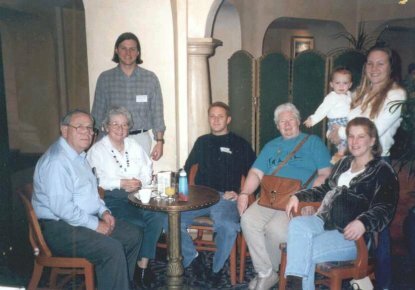 Seated:- left to right: Don Mayfield, son-in-law (Husband of Heather Norway Mayfield); Heather Norway Mayfield, daughter; Keith Mayfield, Grandson (Son of Don and Heather Mayfield); Shirley Norway, Daughter; Jennifer Mayfield, Granddaughter (Daughter of Don and Heather Mayfield).